Since the technology launch Schoeller has signed a production agreement with Osmotex. 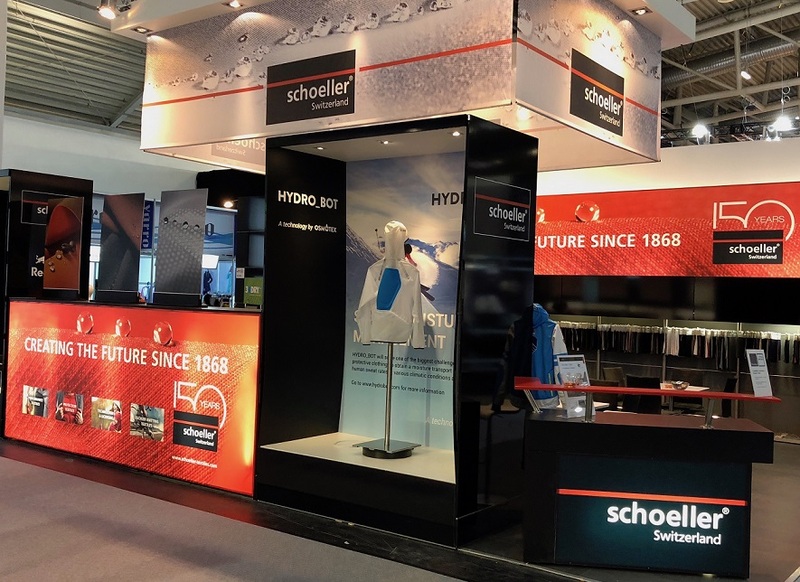 The Swiss leading textile manufacturer will market HYDRO_BOT to its own clients, and Schoeller is showcasing HYDRO_BOT at ISPO. “We are very pleased with the progress towards commercialization and this revolutionary technology will play a crucial role in our vision to stay at the forefront of the global textile industry,” says Schoeller CEO, Sigried Siegfried Winkelbeiner. Osmotex AG has developed a revolutionary proprietary technology for electronically controlled moisture transport in membranes and textiles. As as first step, the technology will be applied in clothing and launched as HYDRO_BOT. Osmotex AG is a Swiss corporation founded in 2008 funded by group of Norwegian and Swiss Investors and Banks. Osmotex AG is a research and development company dedicated to electroosmotic vapour and fluid transport. As the developer of HYDRO_BOT, Osmotex has pioneered moisture transport delivering the first ever electronically controlled active membrane to the market.